A member of the GAM Course Rating staff will contact the club soon after receipt to begin the process of rating the course. 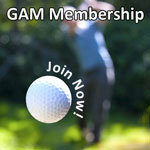 Are you interested in becoming a GAM Course Rater? Fill out the form below if you are interested and you can read more about what it is like to be a GAM Course Rater below. Golfers like you who volunteer with the Golf Association of Michigan (GAM) under the authority of the United States Golf Association (USGA). Fill out the Volunteer Registration Form above. You can also call the GAM office at (248) 478-9242 ext. 114 and tell them you want to be a Course Rater. Most volunteers are avid golfers who value the opportunity to give something back to the game they love. Others do it for the opportunity to play golf courses they might not see otherwise. Some just like learning how course rating and the USGA Handicap System™ work. Finally there is camaraderie among team members that many raters look forward to. Golfing skill is not required although familiarity with the game helps. Most important is the ability to learn the USGA Course Rating System™ and have the analytical inclination and the process orientation to apply the methodology on the course. It is a numbers oriented process. Rating typically takes a full day. 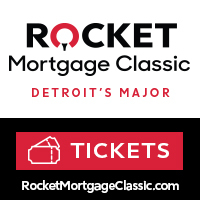 You’ll work with a team of raters in the morning to rate the course. 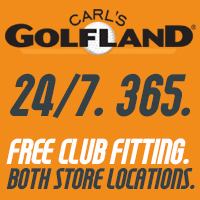 Most often you’ll rate nine holes. After a lunch usually supplied by the club, you’ll play the entire course. Playing the course is an integral part of the rating process. It allows you a second look at the course. It is not uncommon for players to notice something they missed while touring the course in rater mode. How many ratings can I do? GAM may rate as many as five or six dozen courses per year state-wide. Raters can make their own schedule. A minimum of six ratings per year will help a rater gain and maintain proficiency. Beyond that, the number is a matter of personal preference. Some raters chose to do several dozen ratings. To be a course rater you must be a GAM Member. If you maintain a USGA Handicap Index you are most likely a member already. If you’re not a member contact the GAM at the number above. Membership options start as low as $24 per year. Most raters do bring their own measurement device (laser) to the rating. Raters are encouraged to dress in a uniform manner. This makes it easy for golfers to spot raters when they encounter us on the course. Usually the rater uniform is a white golf shirt, a tan hat and tan slacks or shorts. Opportunities exist for you to purchase official GAM Course Rater shirts, hats and other gear at a modest cost. No, all course raters are volunteers. The benefits do include lunch and a round of golf however. You will be provided with The USGA Course Rating System Guide. It is the rater’s bible, study it. The USGA runs an online course for raters. GAM runs annual Rating Seminars. New volunteers will receive an orientation from their Team Captain, and you will be assigned to a trainer for on-the-job training. Once ready to stand on your own, there is more support. Raters always work with a rating team, so you will be supported in the field by experienced raters. Raters don’t actually calculate the ratings. They gather the raw data used by the USGA Course Rating System™ that calculates the Course Rating and Slope Rating. Raters evaluate the 10 Obstacle Factors that are used by the program. They include; topography, fairway, green target, recovery and rough, bunkers, out of bounds, water hazards, trees and green surface. On each hole these factors are assigned a value between one and 10 by the raters. The data is recorded on the USGA Form One for scratch and bogey golfers. Each tee set needs to be evaluated for men and women players. A large team perhaps 15 to 20 raters enables the team to split up and rate both nines separately. The team proceeds as golfers would play the hole, tee to green. They make their measurements and confer to reach a consensus on rating values before proceeding to the next hole. A rating takes about the same time it would take a foursome to play the golf course. When a golf course is rated, the rating team evaluates the overall difficulty of the golf course for both a scratch golfer and a bogey golfer. The rating established for the scratch golfer is known as the Course Rating. There is also a rating for the bogey player known as the Bogey Rating. This Bogey Rating is not normally published but is used to determine a Slope Rating. The Slope Rating is an evaluation of the relative difficulty of a course for players other than scratch. The book says slope for men is 5.381 times the difference between the scratch course rating and the bogey rating. In actuality then, it is the course rating that determines the overall difficulty of a golf course. So Slope really isn’t a measure of overall difficulty. Rather, it’s a measure of the difference between difficulty for the scratch and bogey player. And the number it comes up with is a hundred something…a meaningless number other than providing a reference point. We’ve all seen the golf magazine articles touting “Monster” courses in Michigan so big and bad they’ll make you cry in your golf towel. The problem is that these editors really don’t know how to pick the toughest courses. They rely on the common misconception that “slope” is the one true indicator of difficulty. Michigan Links sets the record straight, but fair warning: There’s some math involved. The difficulty of every course is not the same for every golfer. It depends on the kind of player you are and the tees you choose to play from. So a single list of “tough” courses really won’t help. However, understanding what’s behind the USGA rating system can help you figure out what course is toughest for you. Still need to know what’s the “toughest”? Well, for argument’s sake, the following pages list the top five scratch ratings for men and women on three sets of tees. As a public service, we’ve included the “bogey” rating for these courses. And just to belabor the point that a higher slope doesn’t necessarily mean tougher, we’ve put in those numbers, too.